What is The BEF Internship Programme? Interns will have the opportunity to learn about an art foundation by working on projects alongside renowned artists and curators. The BEF accepts applications for internships, for which students gain academic credit. Getting involved is an excellent way for students to learn about art, and about the people, organisations and agencies that play a role in shaping the art world. The Foundation works closely with local and international government agencies, non-governmental organisations, and other academic institutions that may be relevant to the future career interests of students. The BEF accepts applications for internships only for undergraduates. 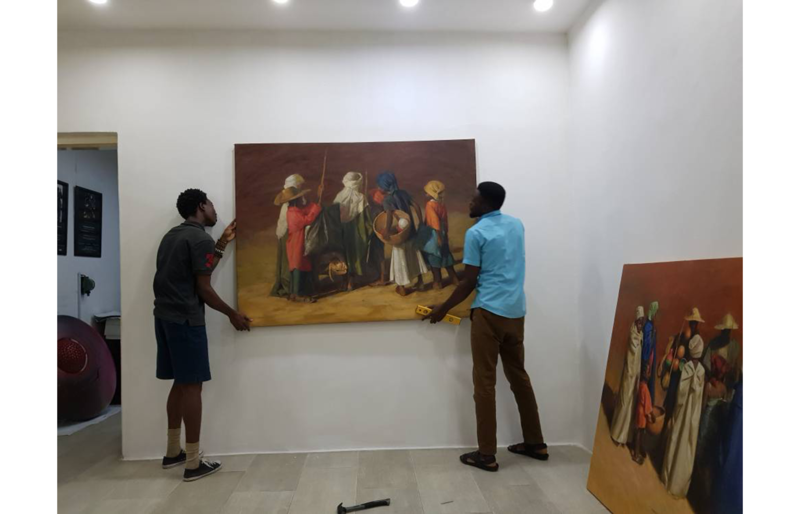 Preference is given to students of fine and applied art or those that have prior experience in an art foundation, though they are not requirements. Applications are welcome from all students who are interested in learning about art and how art foundations work. Exhibitions and Events – Interns will promote, prepare, support, attend, and staff all programmed BEF exhibitions, events and conferences. News Gathering – Interns will gather and summarise news articles for the Omenka magazine and the Foundation's newsletters. General Office Support – Interns will provide general office support by performing clerical duties, managing the contacts database, preparing correspondences, etc. Training – Interns will attend at least three instructional design and training sessions, including Corel Draw. Book Summary and Discussion – Interns will read a book on the life and work of Ben Enwonwu, write a 2-page summary and key points, and discuss the book with staff. Interview – Interns will identify a prominent scholar, artist, activist, or stakeholder to interview. Interns will coordinate, record, and transcribe the interview. The transcript will be put online and interns will make a presentation on the interview to the staff. Data Collection – Interns will collect, organise, store, and present data relevant to BEF's main projects including the archives, library and the newsletter. Final Presentation – Interns will make a final presentation on their internship experience, highlighting the topics and themes that they learned over the course of the semester. 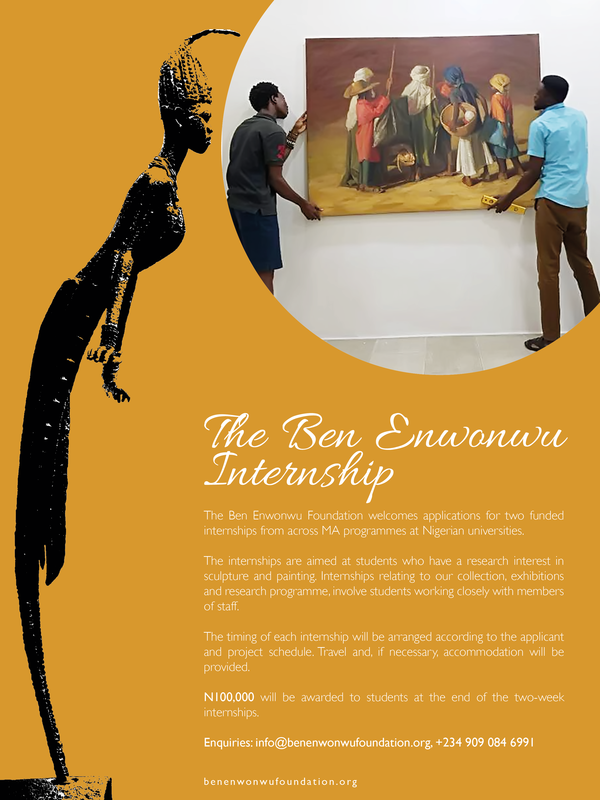 Send an application letter with an essay of 250 words maximum, stating your interest in working with The Ben Enwonwu Foundation, your objectives for and expectations of an internship and how it applies to your career goals. All applications must be accompanied by two recommendation letters, one of which must be from an art lecturer.